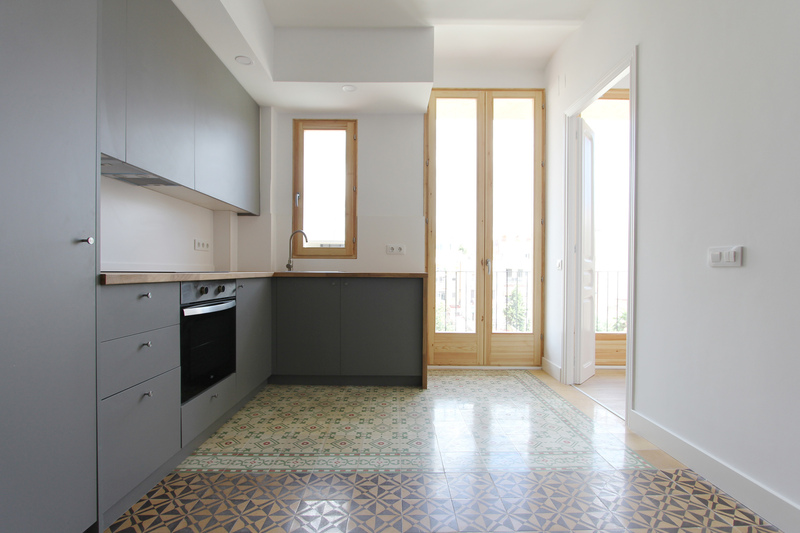 This project is located in Poblenou, a neighborhood traditionally occupied by factories since the beginning of the 20th century and is currently undergoing a process of urban transformation. 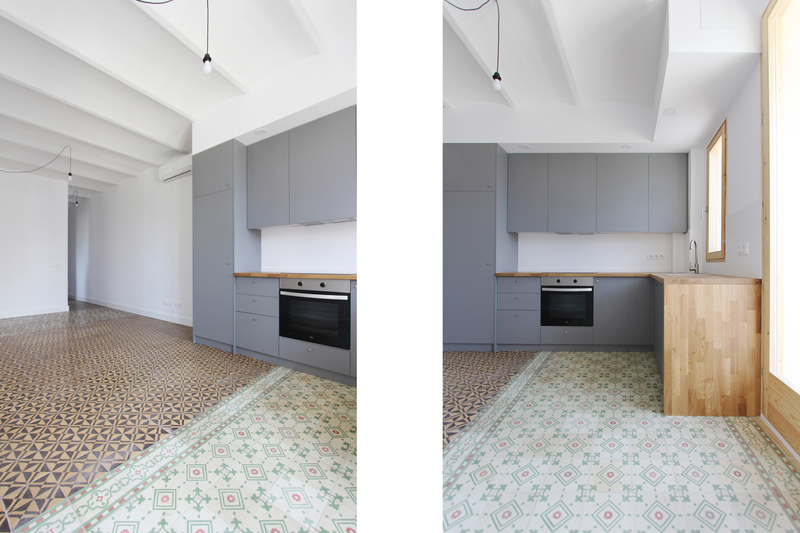 The property is located in a beautiful classic estate from the early twentieth century, with a structure of masonry walls and unidirectional slabs of iron beams and Catalan Vaults. 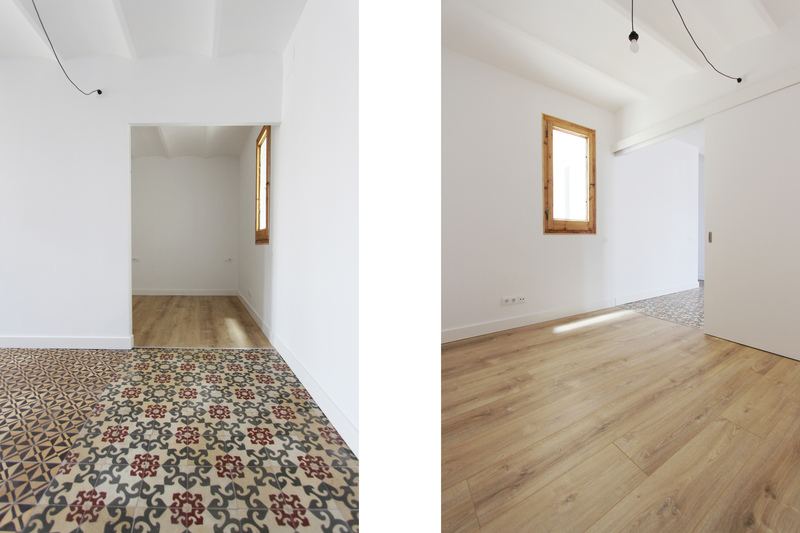 Inside, we have reorganized a more functional distribution and open spaces, enhancing the entrance of light with decisions such as the recovery of the balcony (formerly a gallery with the bathroom and kitchen) and the enhancement of all its openings. 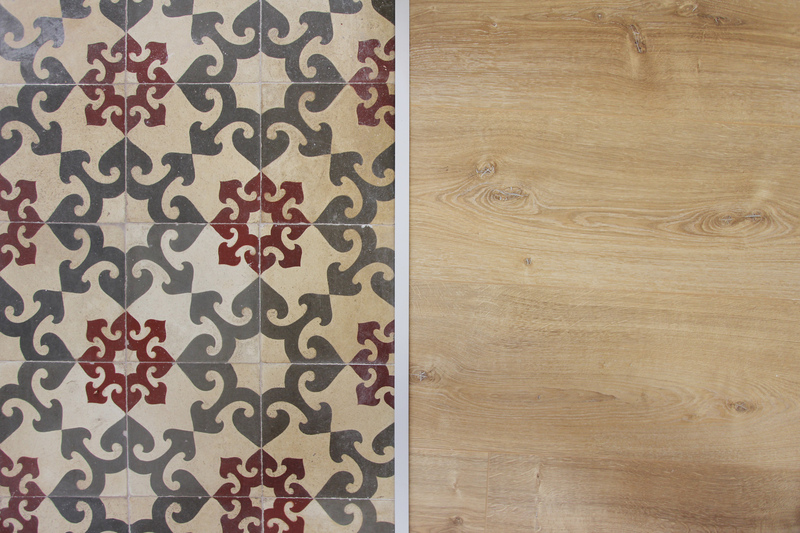 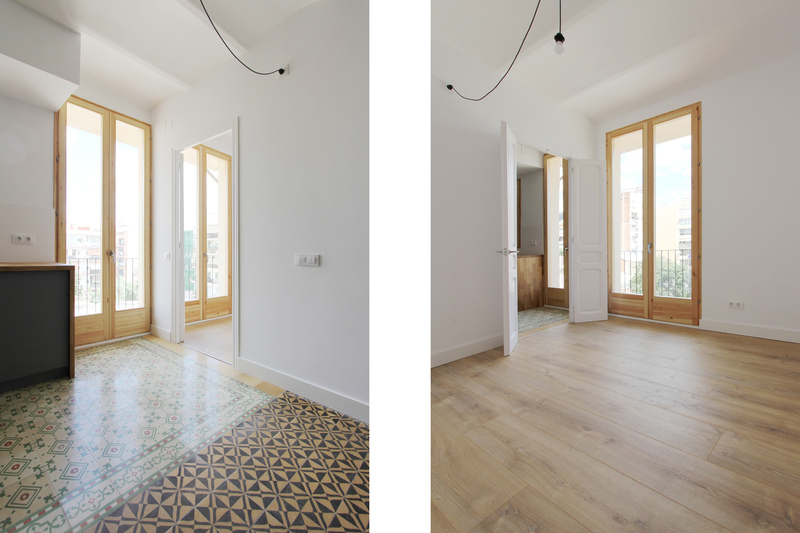 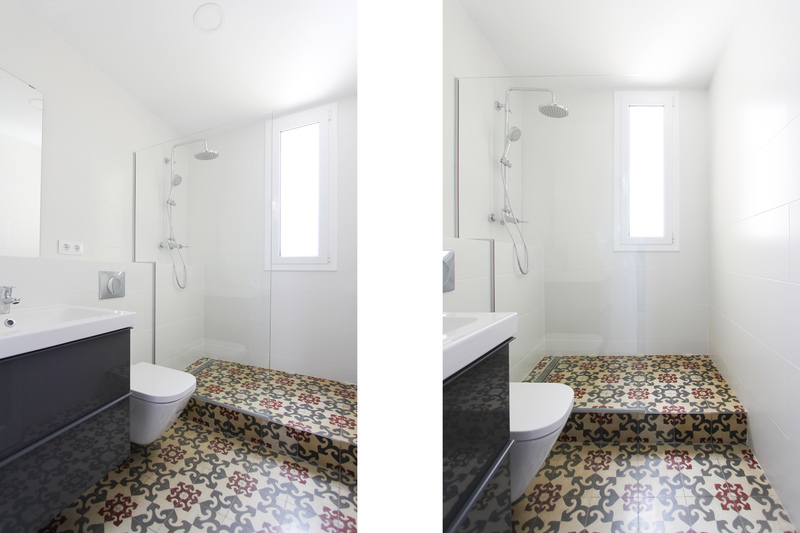 Following our philosophy, we have chosen to recover the elements of interest and architectural value of the house, restoring piece by piece the hydraulic mosaic floors where possible and combining it with wooden floors. 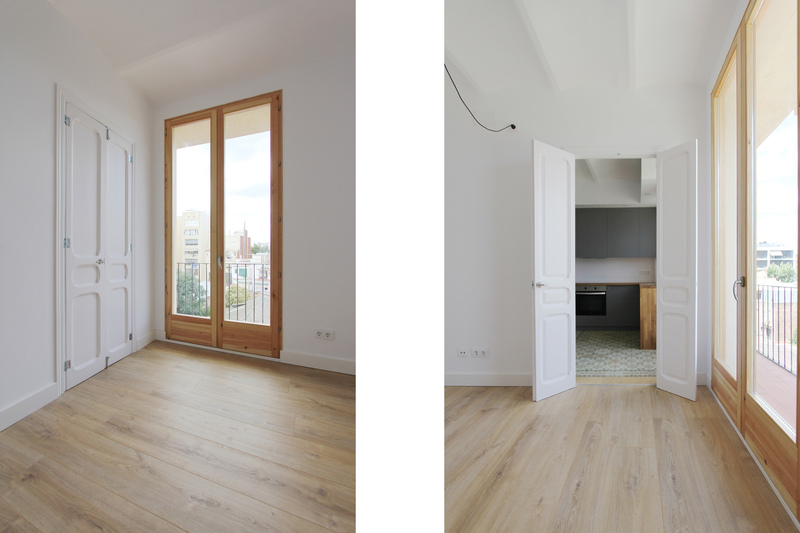 The choice of materials has been in accordance with the image of the house, placing large windows in solid wood and recovering, this time smoothed in white, the Catalan Vaulted ceilings.